Throughout history, people have been using fasting for a variety of health and religious purposes. According to the National Library of Medicine, today people practice fasting for cosmetic, health, and religious reasons. Fasting is one of the major ways to reduce toxins and eliminate excess waste. There are many reasons why you should add fasting to your overall detox ritual. Although not eating might seem to accomplish the opposite effect, intermittent fasting can actually give you more energy depending on the type of fasting that you do. One thing that a good liquid fast can do is flush the toxins from several of your body’s systems. Over time your body stores toxins that it does not know how to get rid of, flushing your body and losing the water weight stored in your system releases these toxins into your excretory system. Fasting can help to stabilize your blood pressure and increase your energy. When you fast, your body starts to metabolize fat for energy. This causes you to lose weight, not much and mostly water but weight none the less. This is not to say that you should use fasting to lose weight. Intermittent controlled fasting is a positive practice, fasting for too long can cause problems. A liquid fast gets rid of the build up in your digestive system. The liquid flushes your digestive tract and causes the build up to exit the body. Fasting of all kinds controls your blood volume. Depriving your body of food but not liquid causes your blood pressure to stabilize at a more normal level. Although it might not seem like it, many people report that they sleep better when they practice intermittent, liquid, or partial fasting. It has the ability to reduce your energy level to a point where you sleep soundly. This practice is ideal when you plan on breaking your fast the next day. Since fasting has an effect on blood pressure, it is only logical that it helps vasoconstriction headaches as well. The typical headache is due to your blood vessels constricting. This causes pain. When you liquid fast it balances blood pressure and blood volume, which in turn corrects the vasoconstriction. Fasting, especially liquid fasts clear toxins from several key systems of the body. The liquid and lack of solids, acts as a body flush that affects the digestive, cardiovascular, and lymphatic systems. Be careful not to overdo a liquid fast, it can have serious consequences. Some studies show that intermittent fasting helps you achieve better overall health. This happens through the elimination of toxins and a general flushing of your system. 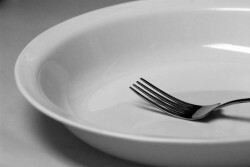 Most people who practice the various forms of fasting swear by its healthy effect. Many even say it leads to a clearer mind and better cognitive abilities. To learn more about the benefits of fasting, call us today at 800-654-0987.